YouTube is apparently pulling back from creating high-end TV grade content. According to sources found by Bloomberg, YouTube has canceled a selection of comedies and dramas. This includes shows such as sci-fi drama “Origin” and comedy offering “Overthinking with Kat & June”. The financial barrier for getting high-quality shows up and running - in order to compete with Netflix and Amazon - can amount to billions of dollars. The same people who spoke anonymously with Bloomberg also said YouTube is better investing their money into music and gaming, rather than expensive show productions. Back in 2012, YouTube also paid celebrities and Hollywood producers to start up their own YouTube channels in hopes of bringing original shows. Later that year they doubled their investment into this but ended the program shortly afterward. TV content on YouTube has failed to pick up traction alongside other, cheaper content the platform offers. With this change, it's fair to assume all YouTube shows will eventually be posted for free. YouTube original shows will still be present on YouTube, but users will be able to view them for free without any subscription. YouTube Red has also been subtlely rebranded from a premium show resource into a paid music service. 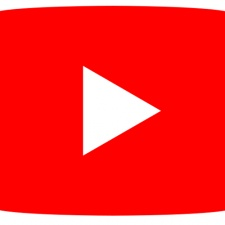 This marks the third time YouTube has given itself a soft reboot in strategy. Rich Greenfield, an analyst with BTIG Research, summarised everything best when speaking with Bloomberg. “Just because a big tech company wants to get into media, that doesn’t mean it’ll be successful,” Greenfield said.